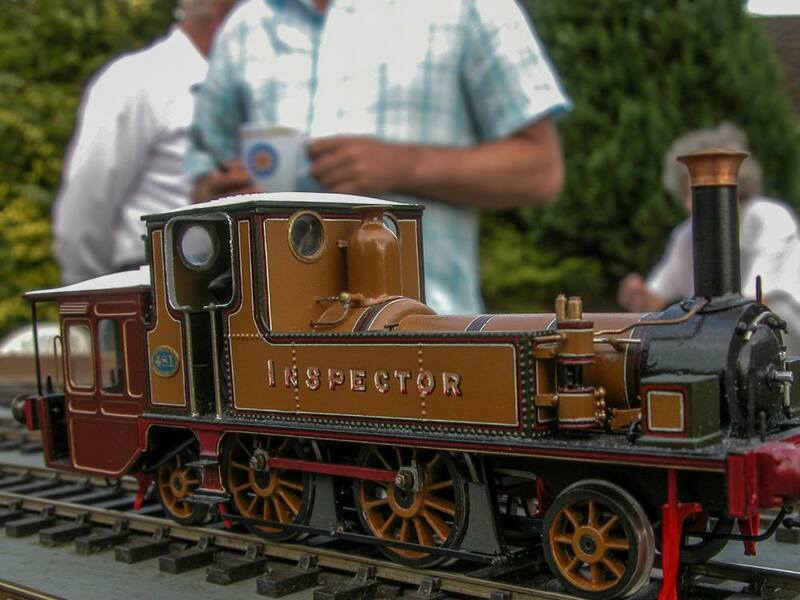 A beautiful scratch-built model of No 481 ‘Inspector’, displaying the livery it carried following conversion. 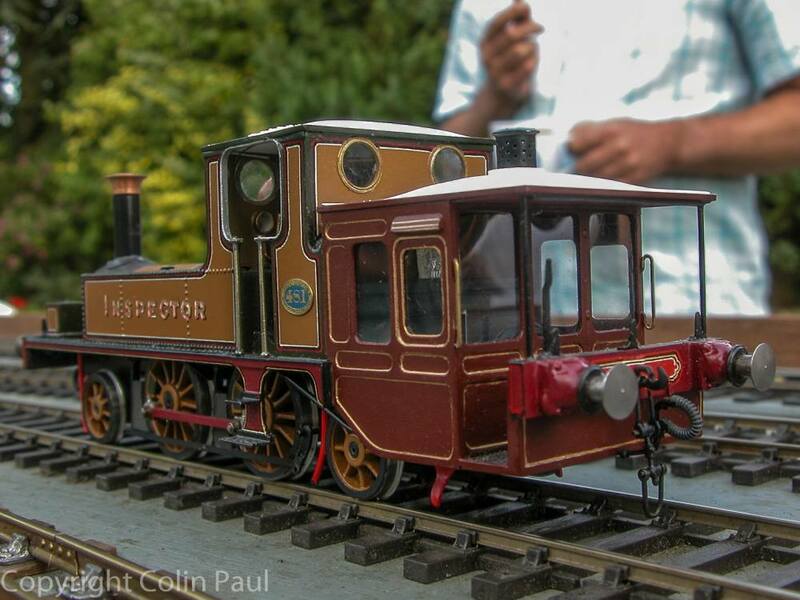 This model shall be displayed at The Spring, Havant, between 13th October – 13th November 2013. Another exciting exhibit to see. The notes and pictures below, were submitted by Colin Paul. See for the history of this locomotive. In 1868 the company purchased a second hand Sharp Stewart 2-4-0 Tank locomotive for £1,065, and was utilised mainly on small branch-line and shuttle services. During 1889 William Stroudley decided to re-build it as a 2-4-2 Tank locomotive with a private saloon at the rear for his own personal use when travelling around the Brighton system. In December of that year when the locomotive was `in shops`, Stroudley suddenly died thus not seeing the end result. When Robert Billinton took over as CME, he decided to carry on the re-building project. In January 1890 it entered service in full Stroudley `Yellow Ochre` livery, with the rear saloon section painted in `Mahogany` livery lined with `Gold`. At the end of 1898 after travelling 283,789 miles, it was offered for scrap. Withdrawal came soon after in March 1899. The model is built to 7mm FINE SCALE `O` GUAGE and is completely scratch built, except for the wheels, which are Slater’s, and buffer shanks, which came from castings produced by Colin Hayward. The chimney and dome have been kindly turned for me by Cliff Pestor. It is fitted with a MASHIMA 1833 MOTOR and an S&D 40:1 gearbox for superb slow running. The chassis features double-beam compensation on the leading and front driving axles, whilst the rear wheels are sprung. This is a beautiful model! I was a member of the Portsmouth & District MRS in the 1960s. 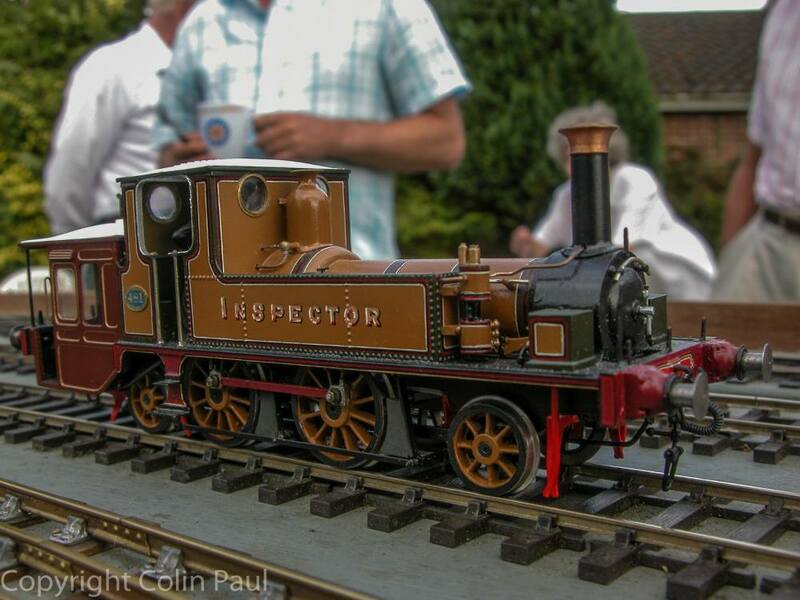 A fellow member, Colin Binnie, also built a superb model of ‘Inspector’ in ‘S’ scale. I wonder where that is now? Superb Model !!! Will make every effort to visit the Island – if only to see this ! I’M NOT SUGGESTING by the way that the maker of this superb model hasn’t replicated it in exact detail – he has – that was just the way Stroudley designed it…..